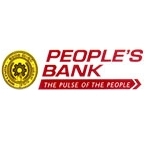 People’s Bank offers a wide range of banking facilities to the customers. It offers its service to general people as well as for the businesspersons. The services are very swift, owing to the utilization of highly advanced technology regarding fund transfer, online monetary transaction and the likes. Apart from providing only banking service (related to opening and maintaining accounts), People’s Bank even undertakes various essential investment strategies that reaps in good returns for the customers of the bank. Among the services offered special mention should be made of several services related to development, treasury securing and also the corporate sector banking facilities. There are currently 0 consumer reviews about Peoples Bank available. Share your review. Please take a note that you are about to post a public review about Peoples Bank corporate office on CorporateOffice.com. This review will be public, so please do not post any of your personal information on this website. If you would like to contact the corporate offices of Peoples Bank, please use their contact information such as their phone number, website, and address listed above to contact them. However, sometimes staff from Peoples Bank headquarters do read the reviews on this website.